Tonya believes God has given her a passion for everything related to horses and has a strong desire to share that passion with others. She has been a teacher at heart from childhood; received a Bachelor’s Degree in Agriculture Education from Illinois State University; and taught at Princeton High School. She started showing horses in 4-H as a child and continued to show at local shows in halter, western, saddleseat, huntseat, trail, and dressage. 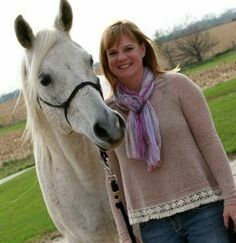 Tonya has trained horses and given riding lessons for over 25 years. Since 2014 she has been a certified therapeutic riding instructor through PATH Intl. Ashton is a high school student with a heart of gold! She started volunteering at Sol's in 2016. She's been riding and showing horses since she was seven. Ashton attends First Evangelical Free church and has a passion for sharing her faith with others. When she's not in school or being the president of the FFA, Ashton works for Miller Vet in Atkinson as a Kennel Tech. Our horses and students gravitate to her beautiful smile!